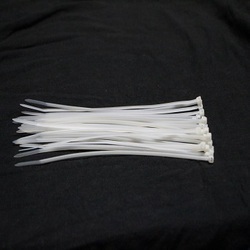 - Plastic Zip lock ties are used in 3D printers to keep machine frame bind together tightly. - Big Platic ties are more strong and durable. - In one pack 100 big ties are included. 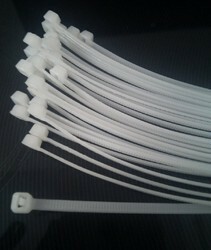 Plastic Zip lock ties are used in 3D printers to keep machine frame bind together tightly. Big Platic ties are more strong and durable. In one pack 100 big ties are included. A good PVC Standard Cable Ties plastic cable tie selection is great to have on-hand to help you keep your home and business safe and well organized at all times. Available in an array of convenient sizes ranging from 7"-14" in length these durable, top quality plastic cable ties can be easily utilized for a wide assortment of everyday tasks including everything. Extra heavy duty duct ties, Poly bagged in convenient 50 piece packages minimum tensile strength of 175 pounds. Size : 24" & 36"